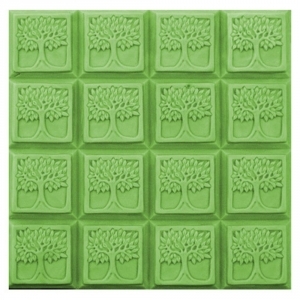 Our Guest Tray Tree of Life Milky Way Soap Mold features an art nouveau style tree surrounded by a simple square border. Often a symbol of interconnection, the tree of life is a great way to show community with your guests. Notify me when Guest Tray Tree of Life Soap Mold is in stock.